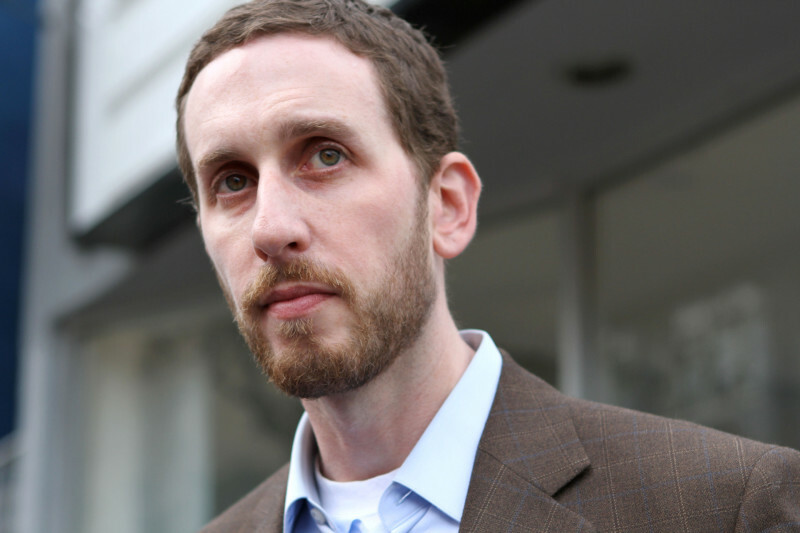 San Francisco Supervisor Scott Wiener is running for the state Senate in 2016, he announced Wednesday. He's angling for the seat of Sen. Mark Leno, a fellow Democrat who will term out of representing the district that includes San Francisco and northern San Mateo County. Leno is among a list of endorsements that Wiener included in his campaign announcement. "The state is growing, the region is growing, San Francisco is growing," Wiener said, "and we need to keep up and make sure that we are sustainable for the long run. That’s the work that I’ve done on the Board of Supervisors, and if the voters send me to Sacramento, I’ll do that work there and focus on those core sustainability issues." KQED asked Wiener about his priorities as he launches his campaign. "San Francisco can’t solve our housing problems on our own. We need to be working with the region as a whole, and the state has a role to play in encouraging smart growth and also funding for affordable housing." Your critics say you're someone firmly in the pro-development camp. How do you respond? "I’m pro-housing. I’m pro-affordable housing, I’m pro-keeping people stable in the housing that they have. And my record has been a long one of supporting smart housing policies that both protect people in their housing, but also make sure that we’re creating enough housing, including affordable housing for our growing population. If your population is growing as quickly as ours is -- 10,000 a year in San Francisco, the Bay Area is going to grow by 2 million people in the next 25 years -- you need to create housing for that growing population. And if you don’t, you’re going to wind up with the situation we’re in today with $3,000 and $4,000 average rents." Are short-term rentals, like those from Airbnb, taking housing units off the market? "I think you have to distinguish between the two types of short-term rentals. I completely agree that when you have entire housing units that are taken off the market and turned into short-term rentals, where there’s no resident actually living there, that is abusive, it is illegal, it should be illegal, and we should be cracking down on it, hard. "But the other situation is where you have residents who live in their homes and live there all year-round and may have lived there for many, many years, and they have a spare bedroom that they rent out as a short-term rental. That income is allowing them to pay their mortgage, to put a new roof on their house, to send the kid to college, to pay their health bills. And the last thing that we should be doing is preventing those people from being able to make ends meet in this expensive city." But the city's Planning Department has said San Francisco's current law regulating short-term rentals is unenforceable. "This ordinance is enforceable. I’m not saying that it’s easy to enforce. I’m not saying it’s airtight enforcement. It is enforceable. The Planning Department right now is enforcing against some of the abusive actors, and I applaud them for doing that. I think we should give this a chance to work. I’m open to changes to the legislation to make it even better, and particularly to improve enforcement. What I will not support is preventing people who live in their homes and renting spare rooms to make ends meet -- I won’t support legislation that’s going to really harm those long-term San Francisco residents." "We have huge transportation challenges locally and throughout the state as we continue to grow, and so in Sacramento I will be working on solutions to increase investment, particularly in public transportation. We need much more state support for our transit systems, whether it’s building a second Transbay Tube, making sure we extend high-speed rail and Caltrain to downtown San Francisco, and just making sure we are keeping up with our population growth. That will be a major focus for me." "Even if it starts raining again next winter, we need to continue to reform how we approach water, and that will be a major focus for me. I recently authored first-of-its-kind legislation to require water recycling in new developments. I want to focus on water recycling in particular, but water policy in general in Sacramento." Has the nature of LGBT politics changed? "Yes and no: We’ve achieved some amazing successes as an LGBT community. The Supreme Court ruling on marriage equality only being the most recent. Societal attitudes towards LGBT people have shifted in a very positive direction, and we have a lot to celebrate. But the shift, I think, is about the types of issues that we’re facing as a community. We still do not have a comprehensive federal civil rights law protecting LGBT people. In many states you can be still fired from your job for being LGBT. Even if you have marriage rights, you can be evicted from your apartment for being LGBT, and we need those basic protections. "We also are just starting to grapple with the needs of LGBT seniors. For a long time -- especially with gay men -- a lot of people weren’t making it to old age because of the HIV epidemic. We are now seeing a growing LGBT senior population. That is a beautiful thing, but we have yet to fully grapple with what it means to have a growing population of 70-year-olds and 80-year-olds who are long-term HIV survivors, what it means to have more and more LGBT people in long-term care facilities. We have yet to grapple fully with what it means to have a growing population of seniors who don’t have adult children to help take care of them." "There has to be trust between the police and the community. The police play such a critical role in keeping our communities safe, and that trust is a key ingredient. Without trust it’s very hard to have effective law enforcement. "The San Francisco Police Department -- it has had its scandals. The texting situation was just disgusting, and I’m glad that the chief is taking firm action against those officers. But let’s be clear, in many ways San Francisco is one of the most progressive police departments in the country. ... It is a department that does a lot of things right, but there’s always room for improvement. And statewide, I know that there are a lot of departments that could use help in terms of fostering more trust."